My pace is even and the road is flat but steadily climbs uphill. I trod along to the rhythm of my music. My playlist contains upbeat songs that I use for cleaning, but also for hiking. The sun is strong here in the beginning, but soon the high canyon walls will provide the shade I need to make it at least 6 miles. 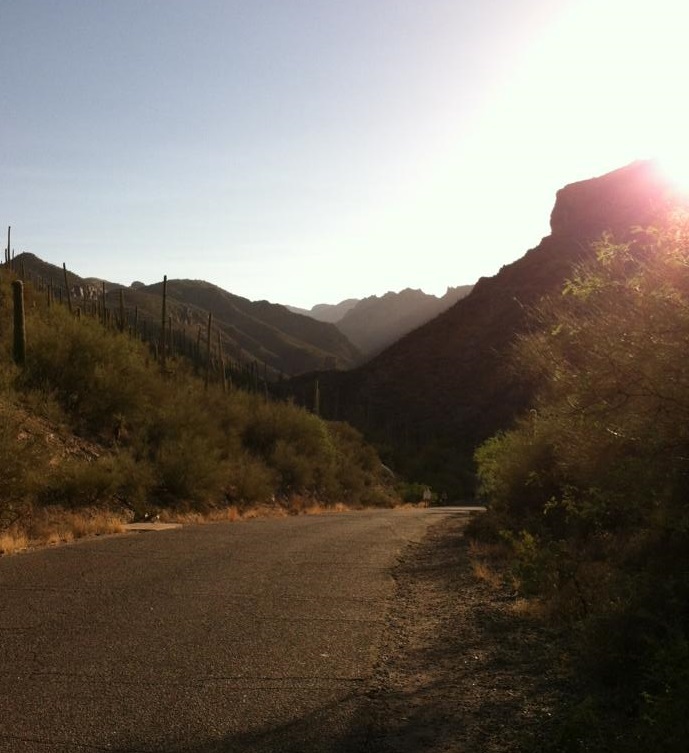 I’m clearing the cobwebs from my brain by using the rhythm of something natural – my walk through the canyon. My head feels clear and before I know it, God is speaking loudly through my surroundings. I’m not sure why He chose to kick up the volume on this particular day, but I am hearing Him loud and clear. I pause to guzzle my water, I type notes in my iPod, I walk on, then God speaks again and again. Through the steady rhythm of my activity He accompanies me with His very own rhythm and His presence – pointing out more analogies than I can fathom or type out. I use my camera to capture what seems to be the silliest things in my view finder. I want to absorb each lesson He shows me here in the desert today. He always knows where I am, but today He chose to match me step for step as I walked. He knew I was ready for the big download of info He had for me. I love this! God is amazing, isn’t he?! I love that he is speaking to you and you are open to listen! Love your blog. Stopping by from 5MF. Isn’t it amazing how our Pappa God meets us at certain points of our life and then walk with us more intentionally to teach us His ways! We just need to step into His rhythm.